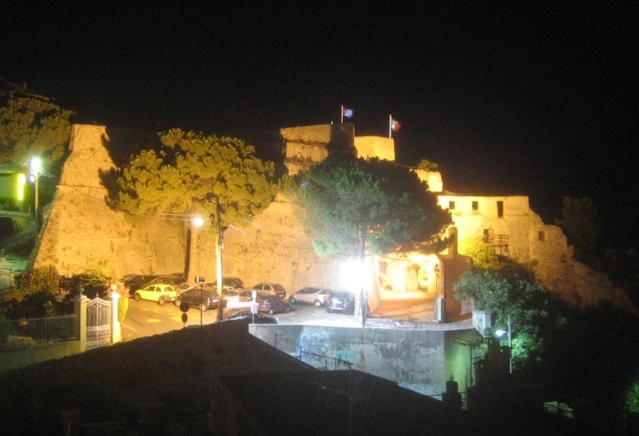 Notes: The Castelfranco was a Genoese fortress in the Ligurian town of Finale Ligure, near Savona, situated on a promontory at the confluence of streams and Sciusa Pora, on the height of Gottaro, strategically dominating the two heads of Caprazoppa and Capo San Donato. It is located 26 meters above sea level. Visita virtuale della fortezza, finaleligurevirtuale.com. Comune di Finale Ligure - pagina sulla fortezza, new.comunefinaleligure.it.